What could be more romantic and heart-warming than following the course of a love affair that lasts 50 years? How about seeing that tale presented by a couple of consummate actors who have their own 44-year-old love story to draw upon? 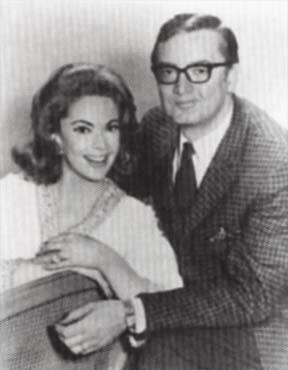 That's the rare treat that occurs when the husband-wife team of Steve Allen and Jayne Meadows perform A.R. Gurney's unadorned but intensely moving play, Love Letters. Put simply, it's a case of art reflecting life -- and life reflecting art. With a bare minimum of set and staging, Love Letters recounts the correspondence -- and corresponding relationship -- between two New Englanders: Andrew Makepiece Ladd III, a dyed-in-the-tweed conservative who dreams of freedom, and Melissa Gardner, a devil-may-care free spirit whose rebellion masks darker fears. It is a contrast that Allen and Meadows can well appreciate. "I'm very high strung and emotional," Meadows says, "and Steve is a quiet, simple man. If you had had two personalities like mine together, or two like his, it would have been death. But we're a good contrast." Allen and Meadows began performing Love Letters about 10 years ago, after reading and liking the script. "To do it 10 years ago, you had to go to New York," Meadows recalls. "When we went to New York and read for the director, he flipped. He said, 'You are it! You are the parts!' And it's true." The similarities are remarkable. Andrew, like Allen, is fairly reserved and thoughtful. He also wants to be a writer, a profession at which Allen has excelled. Melissa, like Meadows, tends to take a full speed ahead approach to life. The New England setting is also comfortable for Meadows, who remembers going to dances at the prep schools mentioned in the play and who recognizes the people she grew up with in the characters. Still, there is more to good theater than familiarity of people and place, just as there is more to this production than a similarity of personality. "If it were just a matter of playing yourself, everybody could act, and that's not the case," explains Allen. "It's a matter of understanding the nuances. But it is a big time-saver when you're properly cast." Adds Meadows, "You are in every character. I always have that moment when I say, 'Oh my God, I'm playing my Aunt Isobel!' We discover ourselves when we play deeply. I think that's why we've been so successful in Love Letters." Allen and Meadows have, of course, been successful in myriad ventures. Their dual careers, separate and together, could fill several books and read like primers on how to make the most out of life. Noel Coward once dubbed Allen "...the most talented man in America." Meadows has consistently garnered similar high praise, particularly for her versatility and on-target performances. As actors, writers, playwrights, on stage, screen and television, the two have remained household names for decades. All of which makes it even more interesting to consider Allen and Meadows within the intimate confines of Love Letters. This is a play that runs the gamut of emotions, from the peevishness of third graders to the heart-wrenching, suicidal despair of later years. Like much of Gurney's works, there is a fine balance here: the first act is a comedy; the second a tragedy. "The best writers always have tragedy with comedy," Meadows says. "The romance and humor is what attracted us to this play. The whole first act, the audience laughs. (They're) not even aware of being pulled into the tragic ending." Meadows notes that she always seeks those contrasts in the characters she plays, and Allen confirms that she does so dazzlingly in this production. He says, "Having seen several presentations (of Love Letters) -- and I don't say this as her husband, I say it as a critic, a writer and a playwright-- none of the other actresses come close to what Jayne gets out of the role. "My approach is different," he continues. "You can't just float through a part, obviously. But I don't work as hard as she does." Meadows, however, counters that her counterpart is every bit as involved as she. "He doesn't just float through it, believe me," she says. "He gets very emotionally carried away at the end. It's very moving. Of all the comedians (of our generation), he's the only one who can act. (Jackie) Gleason could act, but he was a comic actor, not a comedian. Sid Caesar was great at creating his own characters, but I wouldn't want to see him do Love Letters." Such mutual admiration is indicative of Allen's and Meadows' relationship. 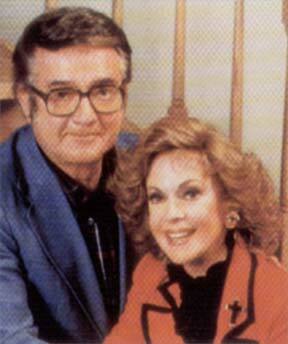 Unlike the characters of Andrew and Melissa, the two performers have been able to keep writing happy endings to their shared tale for 44 years. "Jayne is simply the most interesting woman -- and probably the most interesting person -- I've ever met," Allen says. "She's a three-ring circus. She's highly intelligent, beautiful and talented." "How could you leave a man who talks like that?" Meadows responds with a laugh. But the reality is that the depth of their relationship allows them to bring a wealth of detail and nuance to their performances in this play. Working together does have its rewards. Allen explains, "You know each other's timing and strong points. You can play straight for each other." After a pause to set the timing, he adds, "Plus, it's convenient." "You're not ashamed to offer personal touches," Meadows continues on the original thought. "And there's a freedom --you can say things to your husband you might not to say to someone else. Another thing is that we don't compete." Familiarity can, of course, breed contempt, but that's hardly the case for this duo. When asked if they ever get fed up with working together, Meadows responds much like one of Melissa's early letters: "Oh no. No. No-no-no. No. No." "That's seven no's in a row," Allen comments blithely, before Meadows adamantly adds a few more. The obvious truth is there is lot of love here -- love for each other and love for this play. Love and romance are an integral part of their lives, Meadows explains, something worth fighting for and living for. "It's the second act (of Love Letters) that's very close to my heart," she says. "I'm not an alcoholic; I've never been in a mental institution; and I've never considered suicide. I want to live forever. But it's the love part (of that act). My whole life is romance. That's the most 'Jayne' you'll see." Although they're involved in more projects than most people could fit into a single lifetime, Allen and Meadows have no plans to stop performing this sweet, simple play. "It only comes up every so often, and we do it if we're free," Allen says. "It's easy for us. We enjoy it. And people keep hiring us." "Performers keep going until the final curtain; they don't retire at 65," Meadows adds with a laugh. What a world this is. Actors don't retire. And love never dies -- at least not as long as Allen and Meadows have something to say about it. What could be better than enduring romance? Absolutely nothing!